The Intellinet 48-Port Gigabit Ethernet PoE+ Managed Switch with 2 SFP+ Ports (561112) is designed to pass both data and electrical power to a number of PoE-compatible devices via standard Cat5e or Cat6 network cables. 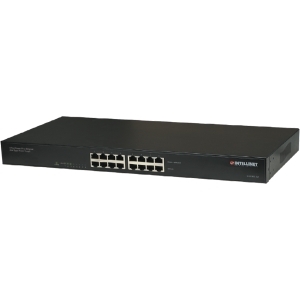 Equipped with 48 Gigabit Ethernet ports, all of which support 802.3at/af Power over Ethernet (PoE/PoE+), this switch can power Wireless LAN access points and bridges, VoIP (Voice over Internet Protocol) telephones, IP surveillance cameras and more while providing a total switching capacity of 136 Gbps in for your network. 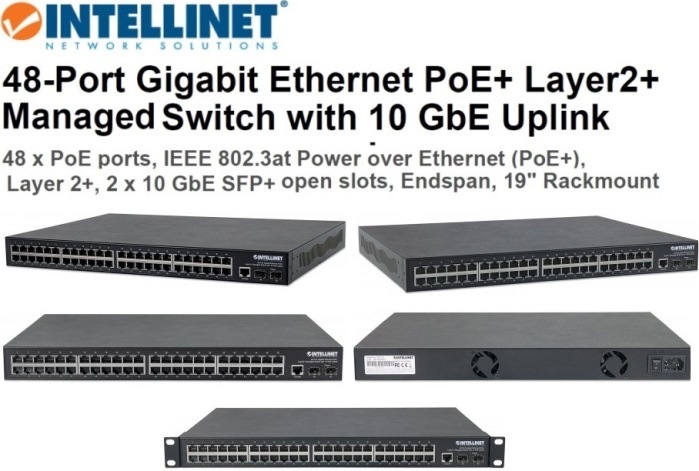 The Intellinet 48-Port Gigabit Ethernet PoE+ Managed Switch with 2 SFP+ 10 Gigabit Uplink Ports supports the IEEE 802.3at protocol and is designed to inject up to 30 watts of power per port*. IEEE802.3af or IEEE802.3at compliant devices attached to the switch require no additional power, thus eliminating the time and expense of electrical rewiring and minimizing the unsightly clutter caused by power supplies and adapters in awkward places such as ceilings and walls. Any mix of PoE and non-PoE devices is supported, and thanks to its short circuit, overload and high-voltage protection function, your equipment is well-protected. For devices that are not 802.3at/af compliant (legacy wireless access points or network cameras), we suggest use of an Intellinet PoE/PoE+ Splitter. Equipped with two 10 GbE SFP+ open slots, the Intellinet 48-Port PoE+ Managed Rackmount Gigabit Switch is the ideal solution for cost-sensitive organizations considering 10 Gigabit Ethernet. With 10 GbE technology going mainstream and becoming ever more popular, the need for additional bandwidth has become more urgent than ever before - even in smaller networks. Whether you wish to connect servers, network attached storage units or NVRs at 10 Gbps, or perhaps you simply want to connect to another Gigabit switch without resorting to LACP techniques, 10 GbE provides the solution. And in case you are not quite ready for 10 GbE just yet, the Intellinet 48-Port PoE+ Managed Gigabit Switch will happily take standard 1.25G SFP transceiver modules, until the time is right for you to make the switch. * Total PoE budget for this switch is 400 watts. Per-port average power distribution is 8.3 watts; maximum per-port power usage cannot exceed 30 watts. The new backbone for your video surveillance! The Intellinet 24-Port Gigabit Ethernet PoE+ Switch with 2 SFP+ Ports (561143) is designed to pass both data and electrical power to a number of PoE-compatible devices via standard Cat5e or Cat6 network cables. 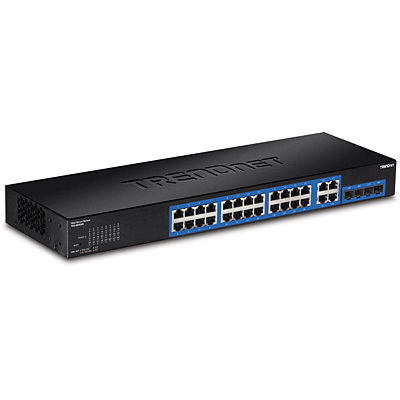 Equipped with 24 Gigabit Ethernet ports, all of which support 802.3at/af Power over Ethernet (PoE/PoE+), this switch can power IP surveillance cameras, Wireless LAN access points and bridges, VoIP (Voice over Internet Protocol) telephones and more while providing a total switching capacity of 88 Gbps for your network. Intellinet's 24-Port Gigabit Ethernet PoE+ Switch can comfortably power up to 24 PoE-enabled network cameras, but it does not end there. Thanks to its 10 GbE uplink ports, the switch is well-equipped to create a high-speed connection to your NVR solution. There will never be a shortage of available bandwidth, bottlenecks are a thing of the past, and there is plenty of PoE power to go around. And all of that comes with a low price previously thought impossible for a 10 GbE networking solution. The Intellinet 24-Port Gigabit Ethernet PoE+ Switch with 2 SFP+ 10 Gigabit Uplink Ports supports the IEEE 802.3at protocol and is designed to deliver up to 30 watts of power per port*. IEEE802.3af or IEEE802.3at compliant devices attached to the switch require no additional power, thus eliminating the time and expense of electrical rewiring and minimizing the unsightly clutter caused by power supplies and adapters in awkward places such as ceilings and walls. Any mix of PoE and non-PoE devices is supported, and because of its short circuit, overload and high-voltage protection function, your equipment is well-protected. For devices that are not 802.3at/af compliant (legacy wireless access points or network cameras), we suggest using an Intellinet PoE/PoE+ Splitter. Equipped with two 10 GbE SFP+ open slots, the Intellinet 24-Port PoE+ Rackmount Gigabit Switch is the ideal solution for cost-sensitive organizations considering 10 Gigabit Ethernet. With 10 GbE technology going mainstream and becoming incredibly popular, the need for additional bandwidth is more urgent than ever before - even in smaller networks. Whether you wish to connect servers, network attached storage units or NVRs at 10 Gbps, or to connect to another Gigabit switch without resorting to LACP techniques, 10 GbE provides the solution. In case you are not quite ready for 10 GbE, the Intellinet 24-Port PoE+ Gigabit Switch readily accepts standard 1.25G SFP transceiver modules, until the time is right for you to make the switch. 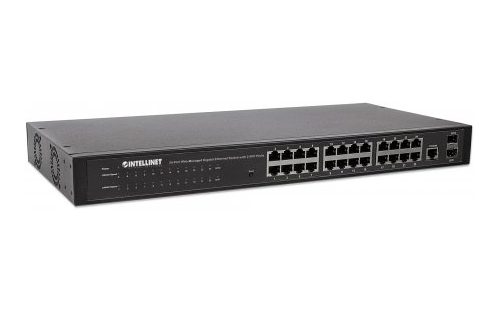 Equipped with 24 auto-sensing 10/100/1000 Mbps RJ45 Gigabit Ethernet ports, the Intellinet 24-Port Gigabit Switch offers plenty of performance for your computers, servers and other networking devices. * Total PoE budget for this switch is 400 watts. Per-port average power distribution is 16.6 watts; maximum per-port power usage cannot exceed 30 watts. 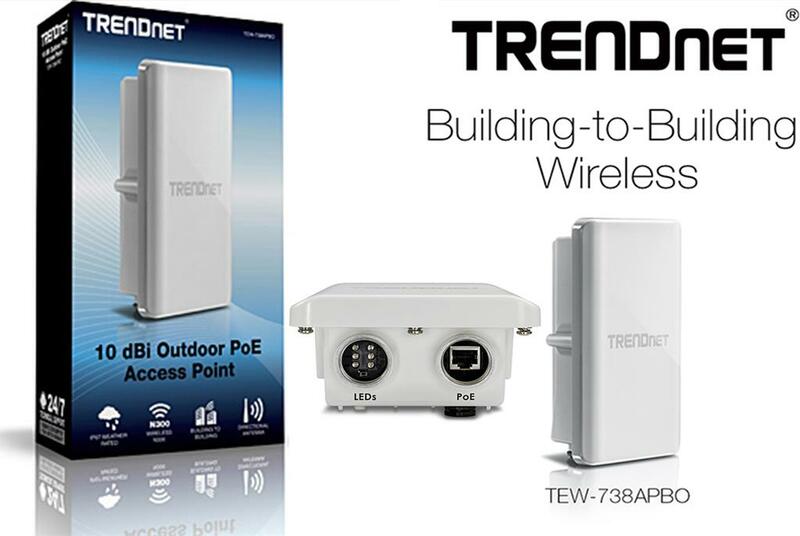 TRENDnet’s 18-Port Gigabit High Power PoE+ Switch, model TPE-TG182F, reduces equipment and installation costs by delivering data and power over existing Ethernet cables. This rack mountable ,high-power PoE switch provides 16 gigabit PoE+ ports with a total PoE power budget of 440W. It also features two additional shared RJ-45 or SFP gigabit ports. The TPE-TG182F high-power PoE switch supplies up to 30W of power per port for devices such as high-power wireless access points, PTZ (Pan/Tilt/Zoom) IP cameras, and VoIP phone systems. The Intellinet 24-Port Gigabit Ethernet PoE+ Web-Managed Switch with 2 SFP Ports (560559) is designed to pass both data and electrical power to a number of PoE-compatible devices via standard Cat5e or Cat6 network cables. Equipped with 24 Gigabit Ethernet ports, all of which support 802.3at/af Power over Ethernet (PoE/PoE+), this switch can power Wireless LAN access points and bridges, VoIP (Voice over Internet Protocol) telephones, IP surveillance cameras and more while delivering network speeds of up to 1000 Mbps. The Intellinet 24-Port Gigabit Ethernet PoE+ Web-Managed Switch with 2 SFP Ports supports the IEEE 802.3at protocol and is designed to inject up to 30 watts of power per port*. IEEE802.3af or IEEE802.3at compliant devices attached to the switch require no additional power, thus eliminating the time and expense of electrical rewiring and minimizing the unsightly clutter caused by power supplies and adapters in awkward places such as ceilings and walls. Any mix of PoE and non-PoE devices is supported, and thanks to its short circuit, overload and high-voltage protection function, your equipment is well-protected. For devices that are not 802.3at/af compliant (legacy wireless access points or network cameras), we suggest use of an Intellinet PoE/PoE+ Splitter. Equipped with 24 auto-sensing 10/100/1000 Mbps RJ45 Gigabit Ethernet ports, the 24-Port Gigabit Ethernet PoE+ Web-Managed Switch with 2 SFP Ports offers plenty of performance for your computers, servers and other networking devices. in addition, two small form-factor pluggable GBIC module slots (SFP) provide fiber connectivity for greater distances. This PoE switch is equipped with an impressive array of advanced management functions that allow you to be in full control over your network. The 24-Port Gigabit Ethernet PoE+ Web-Managed Switch with 2 SFP Ports supports VLAN, port aggregation, QoS, port mirroring, SNMP V1 and the popular SNMP V2c, just to name a few. * Total PoE budget for this switch is 240 watts. Per-port average power distribution is 10 watts; maximum per-port power usage cannot exceed 30 watts. The Intellinet 8-Port Gigabit Ethernet PoE+ Web-Managed Switch (560542) is designed to pass both data and electrical power to a number of PoE compatible devices via standard Cat5e or Cat6 network cables. Equipped with eight Gigabit Ethernet ports (all of which support 802.3at/af PoE/PoE+), this switch can power wireless LAN access points and bridges, VoIP phones, IP video cameras and more while delivering network speeds of up to 1000 Mbps. The Intellinet 8-Port Gigabit Ethernet PoE+ Web-Managed Switch supports the IEEE 802.3at protocol and is designed to inject up to 30 watts of power per port*. IEEE802.3af or IEEE802.3at compliant devices attached to the switch require no additional power, thus eliminating the time and expense of electrical rewiring and minimizing the unsightly clutter caused by power supplies and adapters in awkward places such as ceilings and walls. Any mix of PoE and non-PoE devices is supported, and thanks to its short circuit, overload and high-voltage protection function, your equipment is well-protected. For devices that are not 802.3at/af compliant (legacy wireless access points or network cameras), we suggest use of an Intellinet PoE/PoE+ Splitter. This PoE switch is equipped with an impressive array of advanced management functions that allow you to be in full control over your network. The 8-Port Gigabit Ethernet PoE+ Web-Managed Switch supports VLAN, port aggregation, QoS and port mirroring, comes with an integrated ICMP ping and cable testing tool, and support SNMP V1 and the popular V2c - just to name a few. * Total PoE budget for this switch is 123 watts. Per-port average power distribution is 15 watts; maximum per-port power usage cannot exceed 30 watts. The Intellinet Network Solutions 24-Port Gigabit Ethernet Switch with 10 GbE Uplink, model 561280, offers an array of features while providing superior network throughput. Equipped with two 10 GbE SFP+ open slots, the Intellinet Network Solutions 24-Port Gigabit Ethernet Switch is the ideal solution for cost-sensitive organizations considering 10 Gigabit Ethernet. With 10 GbE technology going mainstream and becoming ever more popular, the need for additional bandwidth has become more urgent than ever before — even in smaller networks. Whether you wish to connect servers, network attached storage units or NVRs at 10 Gbps, or perhaps you simply want to connect to another Gigabit switch without resorting to LACP techniques, 10 GbE provides the solution. And in case you are not quite ready for 10 GbE just yet, the Intellinet Network Solutions 24-Port Gigabit Ethernet Switch with 10 GbE Uplink accepts standard 1.25G SFP transceiver modules, until the time is right for you to make the switch. 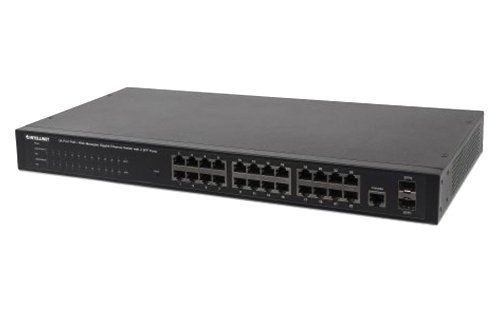 Equipped with 24 auto-sensing 10/100/1000 Mbps RJ45 Gigabit Ethernet ports, this switch offers plenty of performance for your computers, servers and other networking devices. In addition, two 10 GbE small-form-factor pluggable GBIC module slots (SFP+) provide fiber connectivity for greater distances. These are not shared combo-ports, but true 10 Gigabit ports, pushing the total available bandwidth up to 88 Gbps. 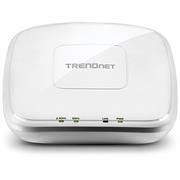 ideal for small and medium enterprise and branch office networks and essential business applications. This 16 + 4 Layer 2 Gigabit Switch is a high-performance SNMP-managed device that provides users with 16 10/100/1000 Mbps Ethernet and four additional Gigabit SFP ports. The Web/SNMP management provides remote control capability, providing flexible network management and monitoring options. Whether managed through an "in-band" SNMP management station or an Internet Web browser, the Intellinet 560801 Gigabit switch facilitates network management and problem diagnosis. The Intellinet 16-Port Web-Managed Gigabit Ethernet Switch is easy to use and manage, designed to increase business productivity by reliably supporting business applications. It features a Web-based GUI and supports SNMP, RMON and Telnet. The impressive list of features includes, but is not limited to, ACL management, sophisticated QoS-related settings, port mirroring, integrated IP-connectivity tools, logging, MAC filtering, RADIUS authentication, port aggregation and detailed port rate configuration options. 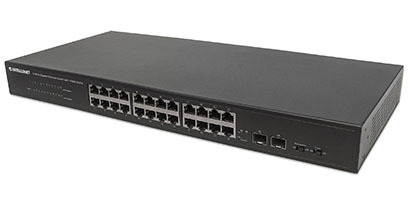 Equipped with 16 auto-sensing 10/100/1000 Mbps RJ45 Gigabit Ethernet ports, this switch offers plenty of performance for your computers, servers and other networking devices. in addition, four small form-factor pluggable GBIC module slots (SFP) provide fibre connectivity for greater distances. These are not shared combo-ports, but true Gigabit ports, pushing the total available bandwidth up to 40 Gbps. 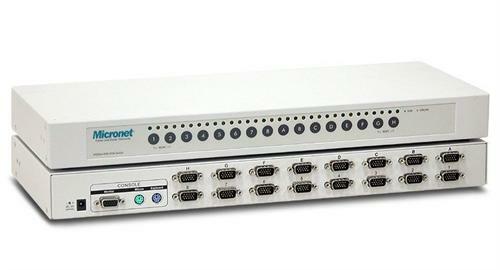 Deliver Power over Ethernet to remote devices. 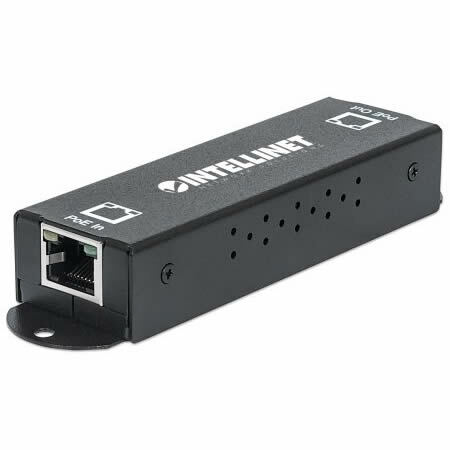 The Intellinet PoE+ Office Switch, Model 560849, is equipped with 16 10/100Base-TX Fast Ethernet ports, all of which support 802.3af/at Power over Ethernet (PoE/PoE+). Besides being a versatile network LAN switch, it also provides a Power over Ethernet option that supplies power injection to 802.3af/at-compliant devices, such as IP phones, wireless access points and network cameras. The Intellinet 16-Port Fast Ethernet Rackmount PoE+ Switch supports the IEEE 802.3at protocol and is designed to inject up to 30 watts of power per port*. IEEE802.3af- or IEEE802.3at-compliant devices attached to the switch require no additional power, thus eliminating the time and expense of electrical rewiring and minimizing the unsightly clutter caused by power supplies and adapters in awkward places such as ceilings and walls. Any mix of PoE and non-PoE devices is supported, and thanks to its short circuit, overload and high-voltage protection function, your equipment is well-protected. For devices that are not 802.3at/af compliant (legacy wireless access points or network cameras), we suggest the use of an Intellinet PoE/PoE+ Splitter. Besides providing Power over Ethernet functionality, the PoE Office Switch has some very impressive features as a switch. For starters, the auto features of this switch make installation Plug and Play and hassle free. No configuration is required. Auto-MDI/MDI-X crossover on all ports eliminates the need for crossover cables for connection to another switch or hub. Auto-negotiation on each port senses the link speed of a network device (either 10 or 100) and intelligently adjusts for compatibility and optimal performance. * Total PoE budget for this switch is 123 watts. Per-port average power distribution is 7.6 watts; maximum per-port power usage cannot exceed 30 watts. Intelligent and secure edge connectivity, ideal for small and medium enterprise and branch office networks and essential business applications. This 24 + 2 Layer 2 Gigabit Switch is a high-performance SNMP-managed device that provides users with 24 10/100/1000 Mbps Ethernet and 2 additional Gigabit SFP ports. The Web/SNMP management provides remote control capability providing flexible network management and monitoring options. Whether managed through an "in-band" SNMP management station or an Internet Web browser, the Intellinet 560917 Gigabit switch facilitates network management and problem diagnosis. The Intellinet 24-Port Web-Managed Gigabit Ethernet Switch is easy to use and manage, designed to increase business productivity by reliably supporting business applications. It features a Web-based GUI and supports SNMP, RMON, and Telnet. The impressive list of features includes, but is not limited to, ACL management, sophisticated QoS-related settings, port mirroring, integrated IP-connectivity tools, logging, MAC filtering, RADIUS authentication, Port aggregation and detailed port rate configuration options. Equipped with 24 auto-sensing 10/100/1000 Mbps RJ45 Gigabit Ethernet ports, this switch offers plenty of performance for your computers, servers and other networking devices. in addition, two small form-factor pluggable GBIC module slots (SFP) provide fibre connectivity for greater distances. These are not shared combo-ports, but true Gigabit ports, pushing the total available bandwidth up to 52 Gbps. More often than not, a network switch does not utilize all its ports at all times. Normally, when a computer, notebook, network printer or other network device is powered down, the switch continues to consume the same amount of power as if it were active. Now, thanks to the new energy efficient IEEE 802.3az technology, the Intellinet 24-Port Gigabit PoE+ Switch detects link status to all connected devices and reduces the power usage of ports not in use. 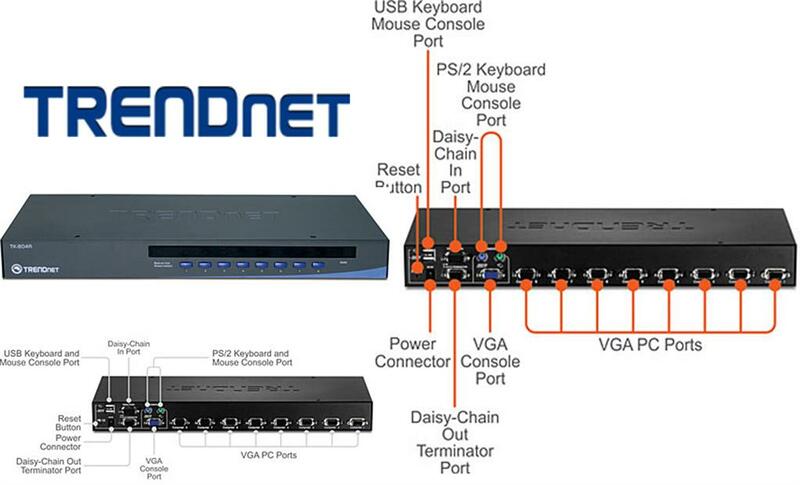 In addition, the Intellinet switch can adjust the level of power output based on the length of the network cable connected to a particular port. With the Intellinet 24-Port Web-Managed Gigabit Ethernet Switch you will enjoy maximum network performance, but when things slow down it automatically scales back power usage to conserve energy and save money. 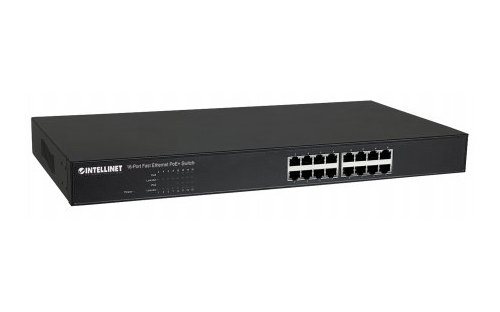 The Intellinet PoE+ Office Switch, Model 560771, is equipped with 16 10/100Base-TX Fast Ethernet ports, eight of which support 802.3af/at Power over Ethernet (PoE/PoE+). Besides being a versatile network LAN switch, it also provides a Power over Ethernet option that supplies power injection to 802.3af/at-compliant devices, such as IP phones, wireless access points and network cameras. * Total PoE budget for this switch is 58 watts. Per-port average power distribution is 7.25 watts; maximum per-port power usage cannot exceed 30 watts. The Intellinet 8-Port Gigabit Ethernet PoE+ Switch (560641) is designed to pass both data and electrical power to a number of PoE-compatible devices via standard Cat5e or Cat6 network cables. Equipped with eight Gigabit Ethernet ports, this switch can power wireless LAN access points and bridges, VoIP phones, IP video cameras and more while delivering network speeds of up to 1000 Mbps. The Intellinet 8-Port Gigabit Ethernet PoE+ Switch supports the IEEE 802.3at protocol and is designed to inject up to 34 watts of power per port*. IEEE802.3af- or IEEE802.3at-compliant devices attached to the switch require no additional power, thus eliminating the time and expense of electrical rewiring and minimizing the unsightly clutter caused by power supplies and adapters in awkward places such as ceilings and walls. Any mix of PoE and non-PoE devices is supported, and thanks to its short circuit, overload and high-voltage protection function, your equipment is well-protected. For devices that are not 802.3at/af compliant (legacy wireless access points or network cameras), we suggest the use of an Intellinet PoE/PoE+ Splitter. * Total PoE budget for this switch is 130 watts. Maximum per-port power usage cannot exceed 34 watts on ports 1 -4 and 15.4 watts on ports 5 - 8. 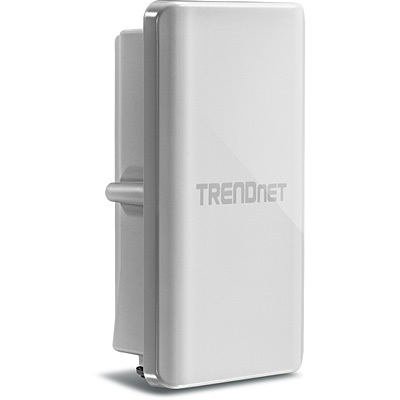 TRENDnet’s 28-Port Gigabit Web Smart Switch, model TEG-284WS, is a cost-effective switch solution for high-speed gigabit applications. Advanced traffic management, access management controls, trouble shooting, and monitoring protocol support makes this a powerful backbone solution for SMB networks. The web-based management interface offers features for traffic control, troubleshooting, access controls, and monitoring. TRENDnet’s 24 Port Gigabit Web Smart Switch, model TEG-240WS, delivers advanced management features with a 48 Gbps switching capacity. This fanless rack-mountable IPv6 ready switch comes with an intuitive web-browser interface. Advanced traffic management, access management controls, trouble shooting, and monitoring protocol support makes this a powerful backbone solution for SMB networks. 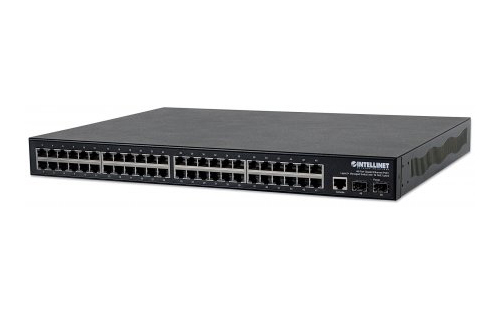 The Intellinet Gigabit Ethernet Rackmount Switch, model 561044, offers an array of features while providing superior network throughput. TRENDnet’s 16 Port Gigabit Web Smart Switch, model TEG-160WS, delivers advanced management features with a 32 Gbps switching capacity. This fanless rack-mountable IPv6 ready switch comes with an intuitive web-browser interface. Advanced traffic management, access management controls, trouble shooting, and monitoring protocol support makes this a powerful backbone solution for SMB networks. The Intellinet Network Solutions 8-Port PoE+ Desktop Switch (560764) is designed to pass both data and electrical power to a number of PoE-compatible devices via standard Cat5e or Cat6 network cables. Equipped with eight Fast Ethernet ports (all of which support 802.3at/af PoE/PoE+), this switch can power wireless LAN access points and bridges, VoIP phones, IP video cameras and more while delivering network speeds of up to 100 Mbps. The Intellinet PoE+ Desktop Switch supports the IEEE 802.3at protocol and is designed to inject up to 30 watts of power per port*. IEEE802.3af- or IEEE802.3at-compliant devices attached to the switch require no additional power, thus eliminating the time and expense of electrical rewiring and minimizing the unsightly clutter caused by power supplies and adapters in awkward places such as ceilings and walls. Any mix of PoE and non-PoE devices is supported, and thanks to its short circuit, overload and high-voltage protection function, your equipment is well protected. For devices that are not 802.3at/af compliant (legacy wireless access points or network cameras), we suggest use of an Intellinet PoE/PoE+ Splitter. * Total PoE budget for this switch is 66 watts. Per-port average power distribution is 8.25 watts; maximum per-port power usage cannot exceed 30 watts. 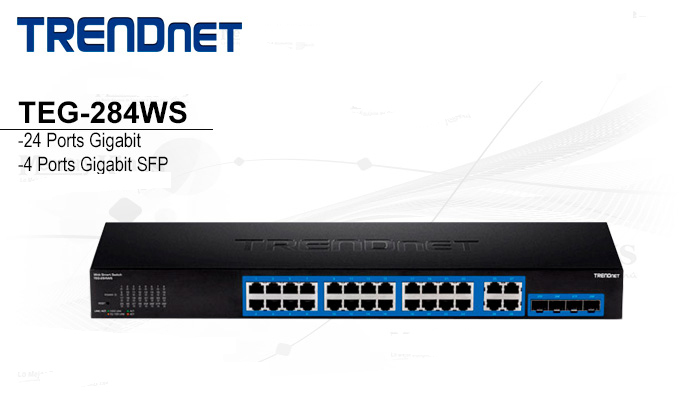 TrendNet (TEG-S24G) 24 Port Gigabit GREENnet Rack Mount Switch -48 Gbps Switching Fabric, 24 x Gigabit Ports ,2000 Mbps (full duplex), Fanless design, Jumbo Frame Support Up to 10 KB, 13 Watts (Max) Power Consumption, Rack-Mount Metal Case Housing, Retail Box, 1 year Limited Warranty. 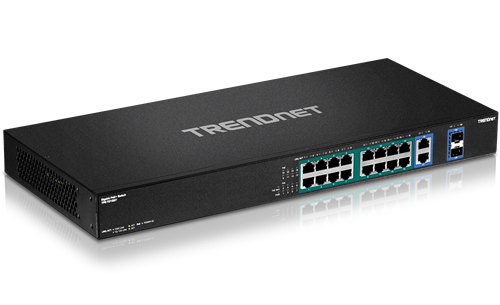 TRENDnet’s 24-Port Gigabit GREENnet Switch, model TEG-S24g, provides Gigabit performance, proven reliability, and reduced power consumption by up to 70%*. Embedded energy saving GREENnet technology works right out of the box with no management requirement. This fanless metal switch offers a total switching capacity of 48 Gbps.